This poster made me smile when I saw it. 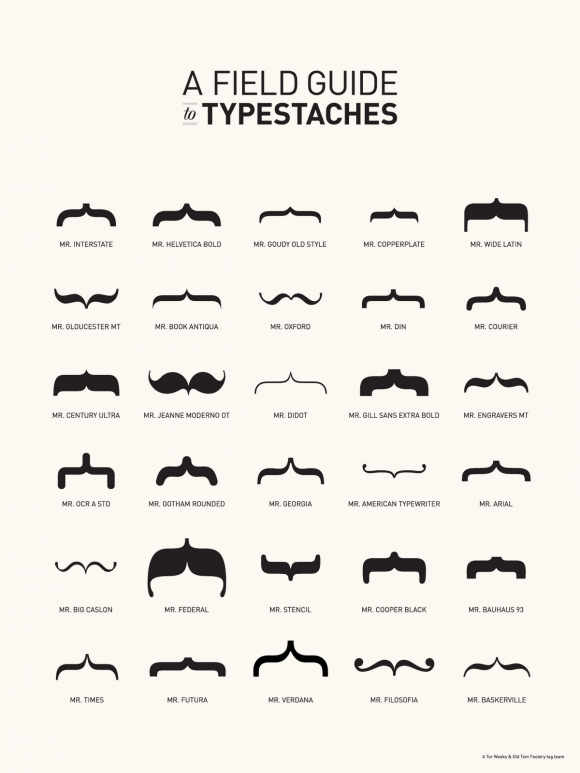 It’s funny how a little bit of typography looks just like a moustache. Each font imbues each ‘tache with its own personality from the futurism of Mr Bauhaus to the frontierism of Mr Federal. I like Mr Baskerville’s underplayed classicism best though – which is your favourite? I can still feel the heat on my face as I drew this. On our recent trip to Andalucia, we were based just outside the stunning white town of Camares. Visible for miles around, the classic Moorish town is perched precariously on a mountain top. Our villa was down a goat track, tucked away on a hillside with panoramic views. 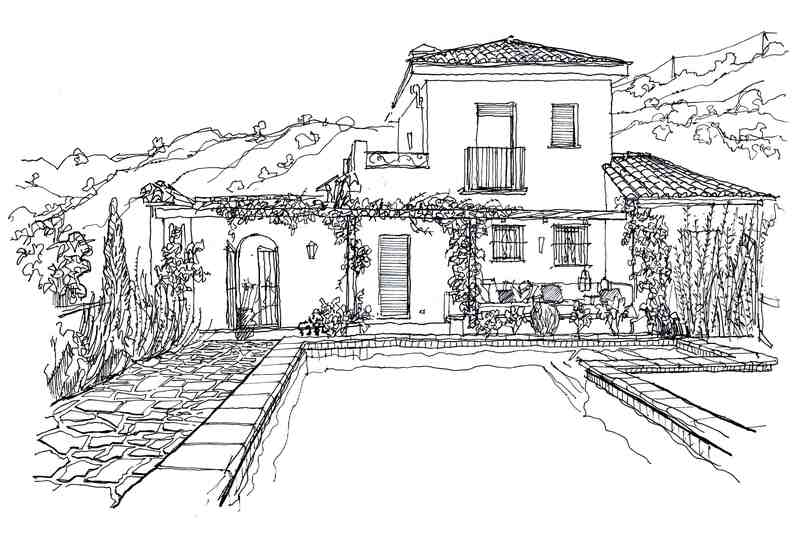 With a little bit of time on my hands, I unpacked the pens and drew the place. It’s incredible how every detail of something that one draws is indelibly printed on the memory. It brings the memories flooding back.